Negotiations for both Religious Zionist parties to run together fall apart, end after only five minutes. No future talks are scheduled. 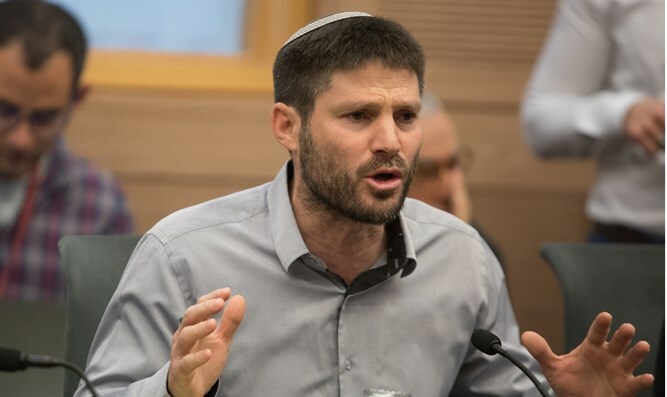 Negotiations between the Jewish Home and the National Union for a joint run in April's elections collapsed, raising the chances that both factions will run alone and possibly not cross the electoral threshold. The talks broke up after only five minutes on Saturday night and no further negotiations are scheduled. According to reports, the key sticking point is Jewish Home leader Rabbi Rafi Peretz's demand that he head the union and get the most senior ministerial portfolio. "The negotiations with the National Union reached a dead end this evening. The Jewish Home is ready for an independent run tonight and continues to examine other possibilities," said the Jewish Home in a statement. The stalemate increases the chances that both parties will run alone and potentially not cross the electoral threshold. A poll published on 'Meet the Press' on Saturday evening found that the Jewish Home and the National Union would not make it into the next Knesset without a joint run. Founded in 1999 as an amalgamation of smaller right-wing and national-religious parties, the National Union currently includes the Tekuma faction – which broke off from the Jewish Home’s predecessor, the National Religious Party – and Moledet, which endorsed the voluntary transfer of Palestinian Arabs out of the country. The two parties have not always run together and have previously split off before reuniting anew. In 2006, the National Union ran jointly with the NRP, but split off again in 2009, when the NRP became the Jewish Home party. In 2009, the National Union won four seats, to the Jewish Home’s three. In 2013 and 2015, the parties ran on a joint list, with the Tekuma faction of National Union receiving two seats in 2015, compared to six seats for Jewish Home faction members.